Our Restorative Practice School prides itself on the outstanding level of mutual respect observed in both children and adults alike. The children have strong self belief and know that they will always be well supported to achieve their goals. Barwic Parade is an inclusive school; we pride ourselves on being able to meet the needs of all learners. 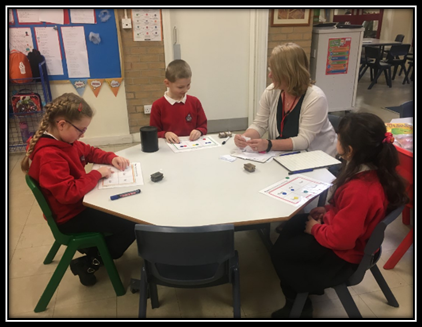 We ensure that our classrooms meet the needs of pupils with SEND in order for them to engage in all activities available and so that they are fully included with children and young people in the school. Quality First Teaching and high quality support for learning within mainstream lessons is the most important factor in helping pupils with SEND to make good progress alongside their peers. Barwic Parade ensures all pupils make rapid progress by guaranteeing that all children access Quality First Teaching every lesson of every day. Every lesson is carefully planned to ensure all pupils are accounted for and provision matches needs. Activities are clearly designed to meet the needs of all learners; teacher’s ensure they provide opportunities for all pupils to access the curriculum by considering and providing for all learning styles. Children will access education at their level which will be challenging and help them to reach their targets. Here are some frequently asked questions that you might find useful. Alternatively you can read the whole document by clicking on the final link on this page.